While traveling to Universal Studios, and Universal Island of Adventure it dawned on me that theme park food is due for the next public foodie invasion. Food trucks, stadium food, casinos even Madison Square Garden have all been touched by the golden knives of some big name chefs and chef personalities. For years Disney has offered some decent fine dining, the upscale Grand Floridian immediately comes to mind. And Epcot has blurred the lines of fast food park eats and international culinary explorations. 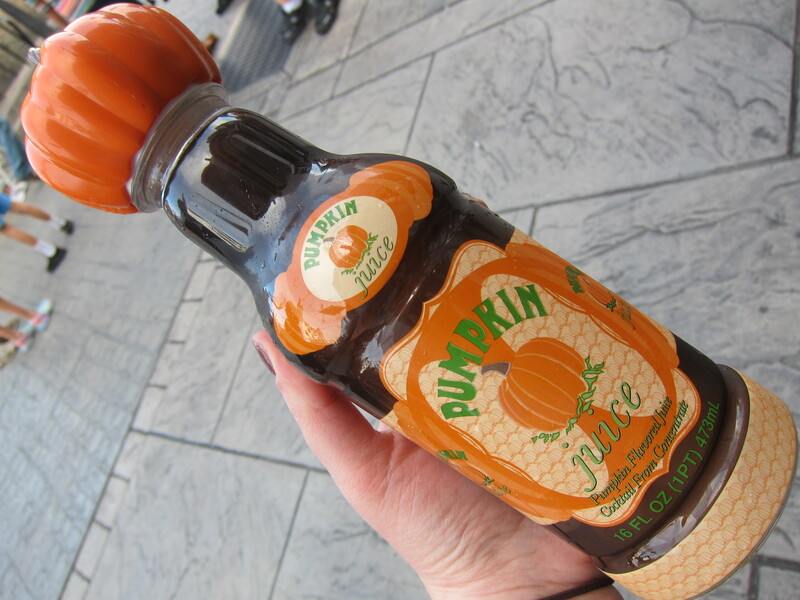 Some brilliant PR company even created the Epcot Food Festival going on this month. But what I think needs a major make-over is your basic run of the mill concession stands. Popcorn, candy, ice cream and turkey legs have left me bored and uninspired to spend my money. Not to mention they pop up every 100 feet and the ratio highly outnumbers the park attractions. Give me some Big Gay Ice Cream trucks, pomme frites, gourmet grilled cheese, or play off your themes. Why can’t I get Green Eggs and Ham in ‘Seuss Landing’?! I was unfortunate enough in my youth to come across a vomit-flavored one, and since then I have rather lost my liking for them. 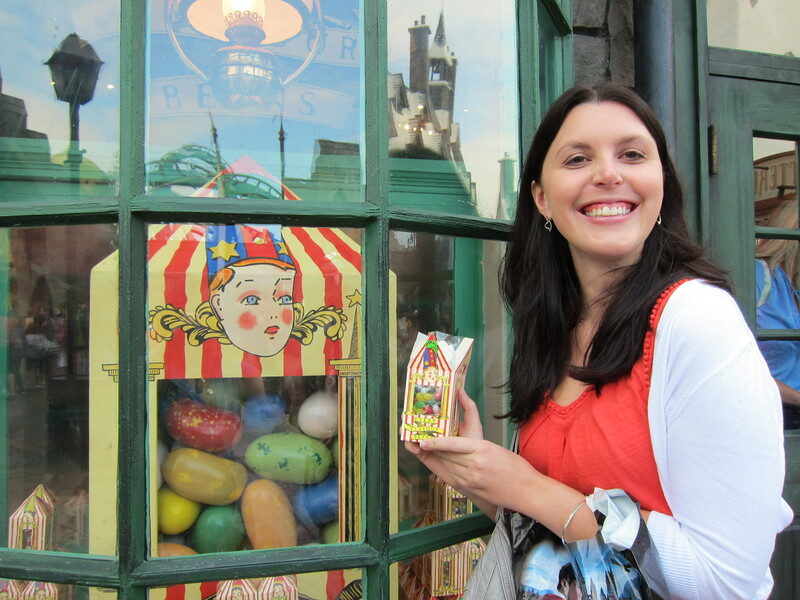 But, I think I could be safe with a nice toffee …Hmm, alas, earwax. 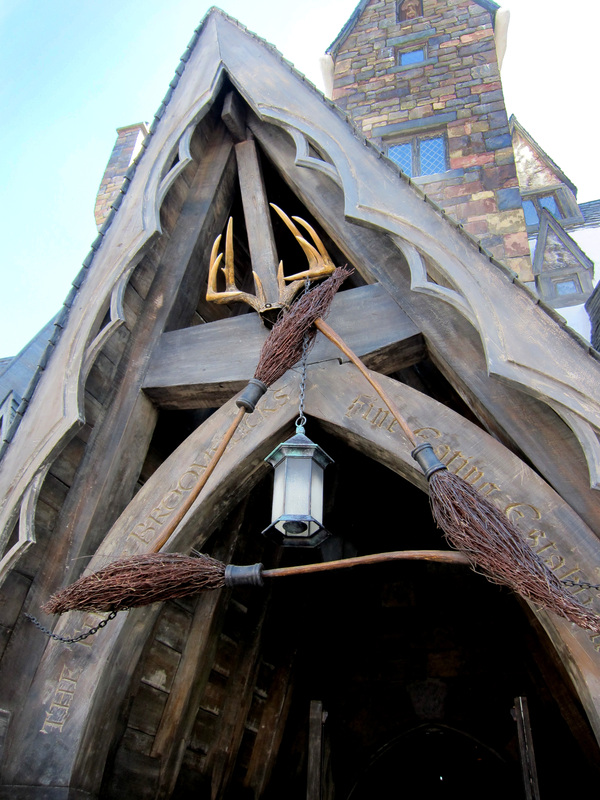 The pride and joy of experience for me however was eating lunch at The Three Broomsticks Cafe. 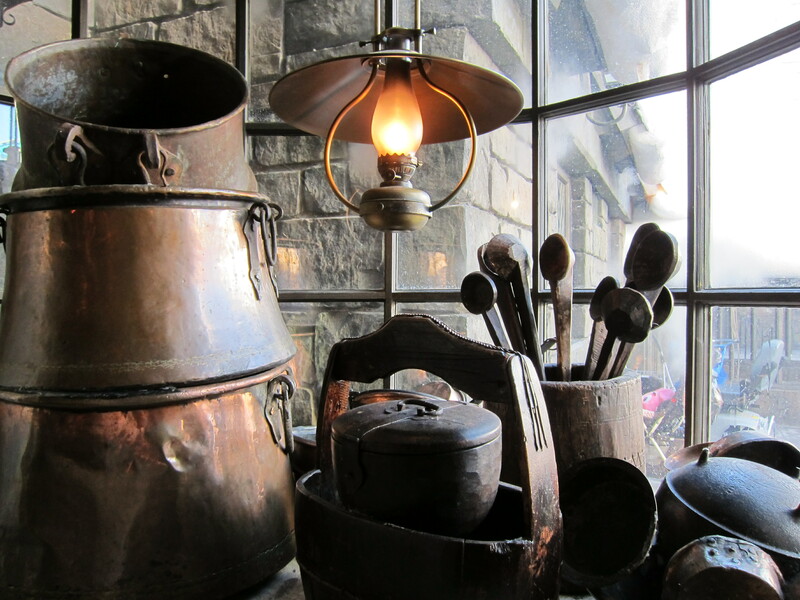 In the books Harry, Ron and Hermione spend equal time leisure and scheming at this pub in the village of Hogsmeade. As a guest, in true theme park style you wait in line as you admire the props along the route, which include a digital menu board followed by samples (behind closed glass) of the actual dishes. The system is quite organized as you are directed to a numerical register to take your order and then sent to the corresponding pick-up window. These casual dining places have real potential for chasos and disaster and angry patrons. This was quite the opposite. 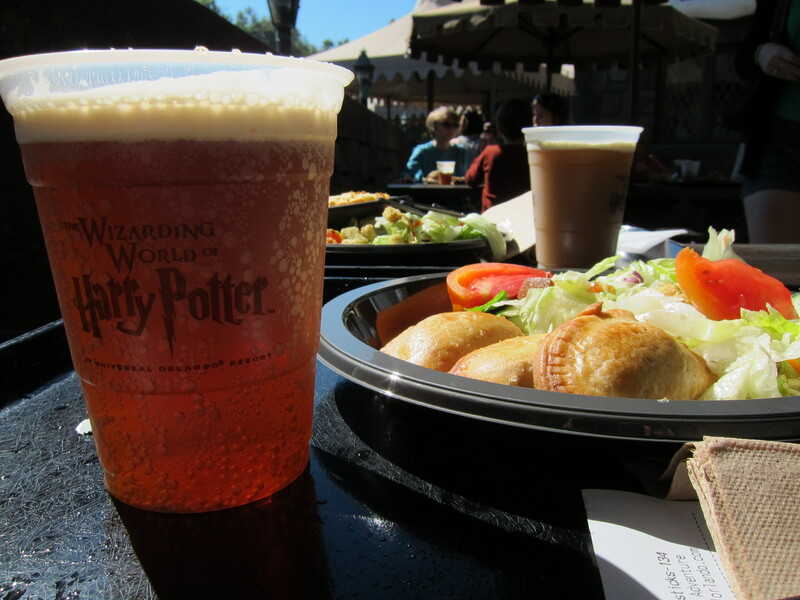 Not to mention the menu stuck to traditional British fare like fish and chips, Shepherd’s pie, and my meal of choice the Cornish pasties (beef pie) with a Butterbeer! Okay, I wasn’t expecting a five-star meal but it was pretty tasty! The Cornish pastries came out in three little flakey pies with a side salad. The Butterbeer was delicious especially mixing the foam with the fizzy soda part. Very sweet, but what do you expect?! On my dining scale I give it 3.5 for ambiance, 4 for crowd control, 3.5 for food and 3.5 for price. An average of 3.75 stars. But mark my words world, its only a short time before artisan, gourmet snacks will find their way to theme parks of America. Just remember you heard it here first!